Total collector size: 348 m2, used to dry 4,000 m3 wood chips per year. Technology has matured enough to produce effective wind turbines. The next technological challenge is how to store intermittent electricity generated by these wind turbines. The most promising technology is power-to-gas: use electricity from wind to split water in H2 and O2 molecules and burn (reunited) them at a later point in time. This project produces 163 bar hydrogen, without the need of an external compressor. The resulting hydrogen can be directly fed into the existing natural gas network. [omv.com] – Renewable energy? Let’s store it! 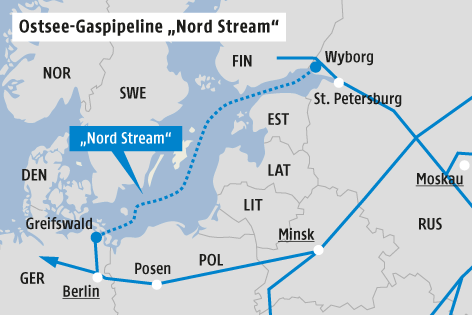 The Austrian oil company OMW has signed a memorandum of understanding that it wants to participate in the construction of two further legs of the existing Nord Stream pipeline Viborg-Greifswald. Additional partners: Royal-Dutch Shell, E-ON and Gazprom (51%). Extra capacity: 55 billion m3/year. Time to go, Angie. This job is not for you. 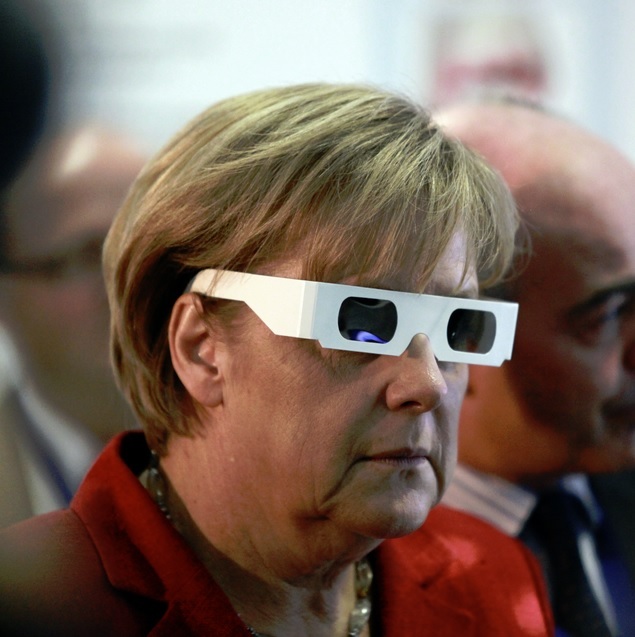 Hand over to Steinmeier or Gabriel, no elections needed.